Working away in FIFO is an interesting place to be. It’s basically a little melting pot of culture, personalities and most intriguing of all…sense of humours. As I’ve written before in blog 4, one of the best parts about working in this industry is the people you meet. This was also seconded by the Lion Cub and Miss Diamond; these projects are full of them. In discussion with folks on site, you get some very random and quite amazing stories. I’ve meet an ex Pink Floyd roadie, a singer / song writer with an album on iTunes, a qualified 747 flight instructor and even a American Hooter’s waitress on a working holiday. Some of the more interesting conversations I’ve had in this industry are around people’s entrepreneurial spirit and business ventures. Anywhere from selling talcum powder to the Chinese to thoroughbred horse breeding; flavoured popcorn manufacturing to designing women’s fashion; the FIFO community are an entrepreneurial bunch. I’ve even met a guy who…”in his spare time”, designed and built a hobby hydro-electrical power plant in his back yard. Who freak’n does that!! The mid-morning sun reflected off the scorching crimson red earth. The cool, dry breeze swept across my weathered face and as I looked out across an ocean that glistened like 1000 diamonds strewn across a blue blanket, and realised…. No… I was actually sitting patiently in a small que as I had been nominated for Drug & Alcohol testing that day. I sat there and listened to a couple of electricians next to me compare stories and bang on about previous projects and was getting a wee chuckle eves dropping on their conversation. So of course this got my attention instantly. As soon as he came out of the test room I asked him about this app. After a short period of small talk we got to, “Well I’m Regan mate”…”G’day Regan; James but people call me Jimmy”. We spoke for a while and out of this 5 minute conversation came a great all round FIFO story and one that I thought I’d share. So…this is the brief story of when I met Jimmy. Jimmy is electrician so we can assume he is a switched on guy and unlike his name sake from Sienfeld…did not refer to himself in the third person. Jimmy is 32 years old and has been working FIFO in some capacity for most of his trade career. Starting in 2007, he has worked both off shore and on shore and likes the rosters off shore provides but the comradery of the large teams on land based jobs. Jimmy reckons that, apart from the money and time off, his favourite part of working in this industry is the people he has met. He has made some great friends over his years working away; some of which are still close mates today. Also, according to Jimmy, no matter what site you go to, you can always find people with common interests and have a story to tell…some more interesting than others (Jimmy’s words not mine). “So you’ve been doing this a while then mate…why’s that?”…I asked; in some way thinking it was my business after the 2 minutes we were chatting. “I’m in it to provide a financially comfortable and enjoyable lifestyle for my girlfriend and I. While it is hard at times, in my opinion it is hands down the quickest way to get ahead in life financially”…or something like that was Jimmy’s response. He did also mention that this was not something that he wanted to do long term with a possible exit after this project for “working back in town gig” as a subby. So at about this stage of the discussion I decided this was enough small talk and came out with it..
Jimmy proceeded to tell me it is a 4×4 Recovery app…basically, when you get stuck off road you can signal to other app users in the area who can pin point your location and come to the rescue. “F*#k mate…that’s awesome!! Talk me through how you came up with it”. Jimmy continued telling me that the idea for his app came along while he was working offshore (this is where Jimmy does his best thinking; when he is away). “Nice one! !” Another random FIFO conversation story within a random FIFO conversation story…love it!! Jimmy proceeded to tell me that he ended up typing the app process up in notes on his phone after trying his best to explain exactly what he wanted. After a bit more in depth discussion about the ins and outs of getting a app built…a challenge we both share, I found out the 4×4 Recovery has only been live for a matter of weeks and already has seen a handful of downloads from overseas customers!! So there you go. Lining up for a drug / alcohol test and I meet a likeminded, entrepreneurial guy; with an interesting story and an enthusiastic buzz. Not a bad way to kill 5 minutes of my day really. Working away FIFO, like any job really provides the tangible and obvious opportunities that you see when taking the role. But it is also those unseen or complementary opportunities that present themselves along the way that are the most exciting and chatting to Jimmy about his app…I am sure this is the case for him at the moment. 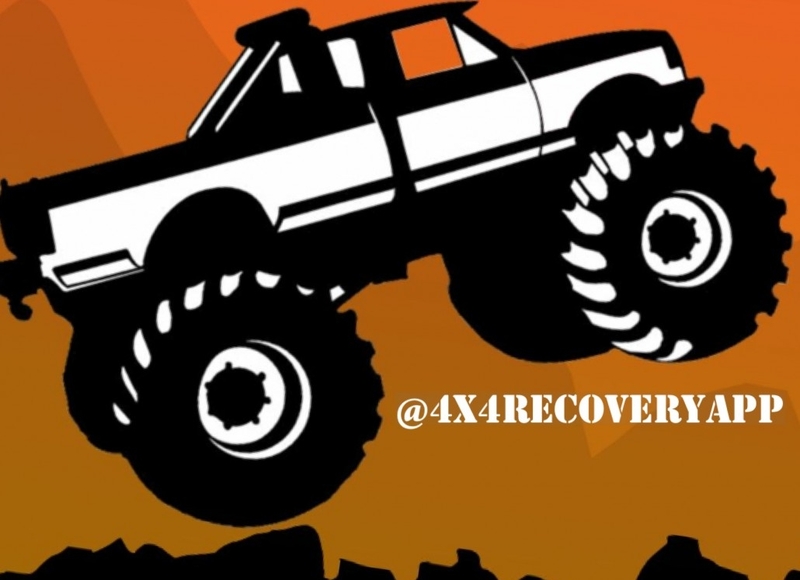 To view / download 4x4Recovery App, visit this link or hit Jimmy’s Facebook page. So…until the next instalment, keep safe and Stay Connected….while OFF ROAD! !